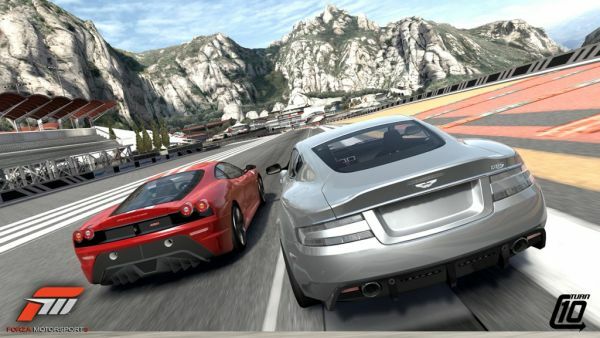 If you're the type of gamer that has to max out your in-game ranks and unlockables, then games like Gran Turismo and Forza Motorsport are probably your Mount Everest peak, arriving out of the box with hundreds of hours' worth of racing just to get every car. Forza Motorsport 3 zooms onto North American Xbox 360s on October 27th, and every Limited Collector's Edition customer gets access to ten exclusive cars, five of which have been tuned and painted within the game by the development team at Turn 10. Furthermore, a custom-painted Audi R8 V10 as designed by community contest-winner Justin Van Dusen will be available exclusively to those who pre-order any version of the game. The Limited Collector's Edition is only available at GameStop. Completionists, we just cost you $80. It's a little-known tidbit that Forza Motorsport 2 allowed a second player to join your Career mode, either offline via splitscreen, or online. By all accounts, it looks like Forza 3 will up the ante, listed on Xbox.com as having 2-player offline co-op and 8-player online co-op. We're not all guns and zombies at Co-Optimus, so expect us to follow up on this game as details progress and the release date nears.